Have the Smile of Your Dreams in One Visit! There is nothing more important than making a great first impression. Your smile is a gateway to your personality. By combining advanced training, technology and artistic ability, we are able to provide you with the smile of your dreams in a relaxed, caring environment. Smile and the world smiles with you. If you want to have a gorgeous smile and enjoy a lifetime of exquisite dental health, visit the practice of Dr. Little and his dental team at Dunedin Family Dentistry. We specialize in cosmetic and restorative procedures to give you the smile of your dreams! Dr. Little has extensive training in placing mini-implants. 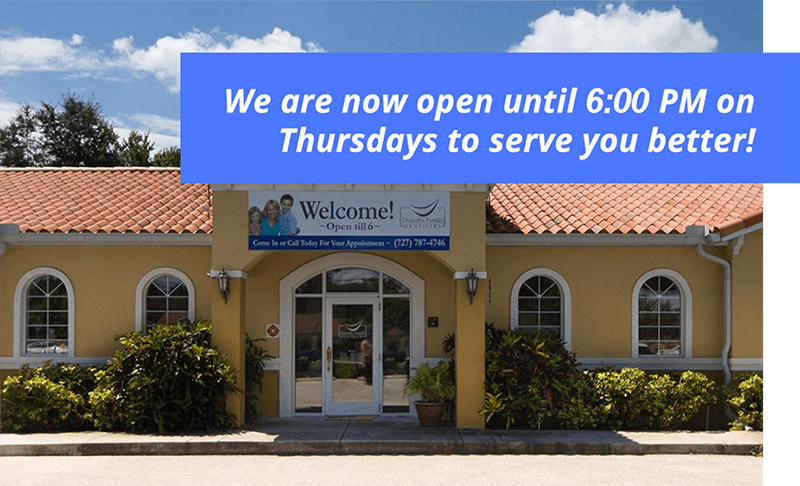 Call our office to learn more or click here to read about our patient services. Our caring team strives to give you the highest quality, most comfortable dental care in a relaxing, state-of-the-art environment.